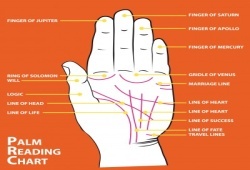 If you want to know more about fate line meaning in palmistry world, we’re glad to introduce useful information about this wonderful line. It can be said that this line is used to link your career and general view on work. In addition, it refers to your life path (or called your destiny). If you don’t have the fate line on your palm, it means you have to struggle with yourself to find out the best career road that can make you feel happy. In case that you want to know anything about your healthy life, this line is worth to observe. The fate line starts running upwards and lies between the head line and life line. There are some places that this line can stop i.e. 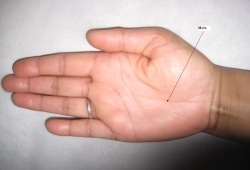 it’s clear in the wrist and dull at Jupiter finger or it can appear at the midway of the hand or there are some breaks, crosses, squares on this line. With the deep line, the bearer is able to gain lots of terrific profits for their wealth from various sources. Meanwhile, to the elderly persons, they can improve their own success. To those who have light fate lines can endure difficulties and challenges in life. Moreover, they always feel despair because of their unsuccessful attempts. However, if there is a strong Sun line on their hand, they can find out other ways to make them successful. The zigzag line indicates the bearers might experience lots of ups and downs in their life. 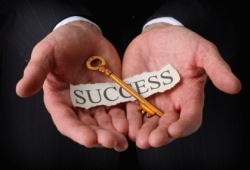 They may obtain success after overcoming the problems and difficulties in life. Perhaps, their way to success is not simple like the others. However, if they continue attempting, everything will have good chances. With this line, the bearer may endure highs and lows in his/her life. He/she could swing between success and failure. It’s sometimes easy to attain success when performing a mission. Nonetheless, he/she can face up to huge troubles when carrying a simple task. The broken line means a huge danger. The bearer might confront an accident at a particular time. The accident could create physical damages or take the bearer’s life. Therefore, to those have this line should be careful. If you love adding more details concerning the subject “Fate Line Meaning” , please send us your enquiries in the box available below. We’re always here to help and serve you.